Monday-July 12. 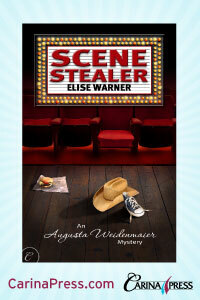 Blogged about Scene Stealer today on Teresa D’Anario’s blog site. Of course, Miss Weidenmaier , he friends and adversaries joined in. Kevin asked me to include an excerpt from the mystery so you can read a bit about the night he was locked in the basement of the Saint Genesis Theatre by Lawrence Dunn. Dunn is America’s answer to Lawrence Olivier-only America doesn’t know that yet. I’ve had a great time reading the comments and I will give one complimentary copy of Scene Stealer to the person who writes the most interesting comment. Come on over and take a look and don’t forget to write. This entry was posted on July 12, 2010 at 8:25 pm and is filed under authors, New Yorkers, Uncategorized, writers. You can follow any responses to this entry through the RSS 2.0 feed. You can leave a response, or trackback from your own site.